Adaptable gaskets for heat exchanger, to find them click on the searched trademark to view our range of heat exchanger adaptable gaskets. You will find for example: SUPERCHANGER models of the brand TRANTER, models ACCU-THERM of the brand PAUL MUELLER, VARITHERM models of the brand GEA as well as models ULTRAFLEX and TETRA-PLEX. 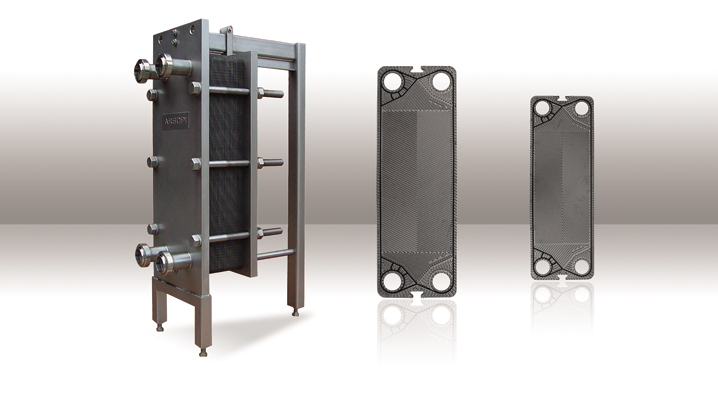 As with all manufacturers of gaskets for plate heat exchangers, Renocol has opted for the FDA standard as a reference to the EC1935 / 2004 standard. The information provided in this document is given in good faith and Renocol Manufacture accepts no responsibility for the accuracy of its contents or for any consequences that may arise from the use of the information provided or the materials described. You can not find your model ?